Summers are short, here in New England. 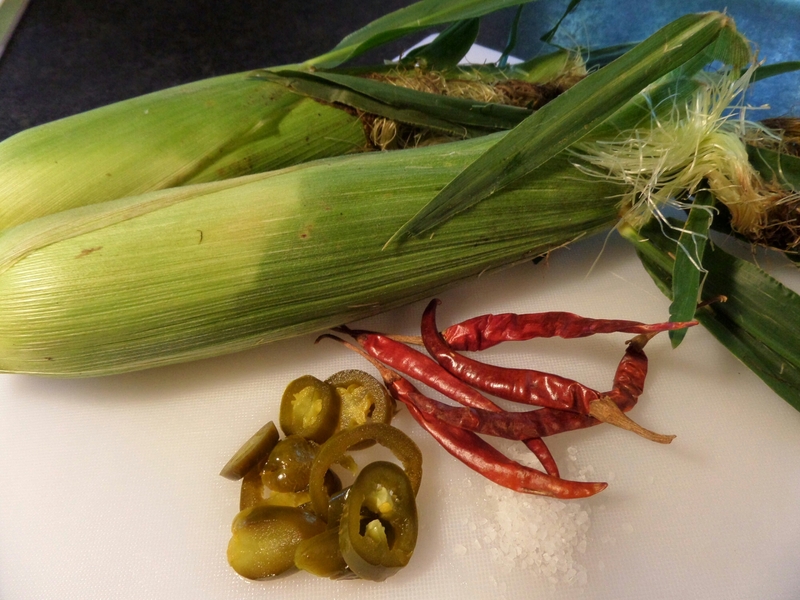 You have to take advantage of in-season veggies and there’s nothing like the taste of fresh corn in August. Ok, so it’s only June so my corn was not local. It was most likely shipped up from the south, but stay with me on this one. By the time summer is over, I can’t even begin to estimate how many ears of corn have been consumed in this house. 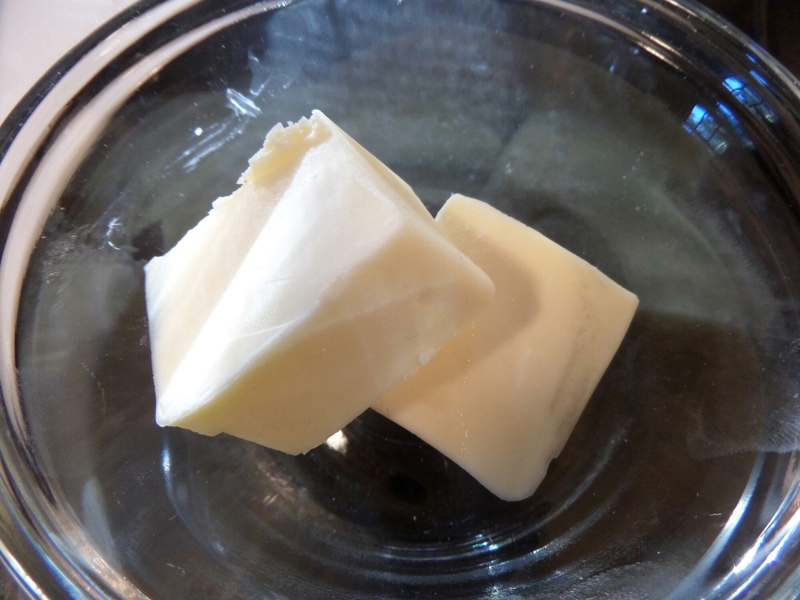 It’s usually the standard preparation…..some melted butter & sea salt, wrapped in foil and plunked on the grill. I’m not complaining but sometimes it just needs a kick. A few weeks ago, while cooking dinner for family, I had a very simple idea. 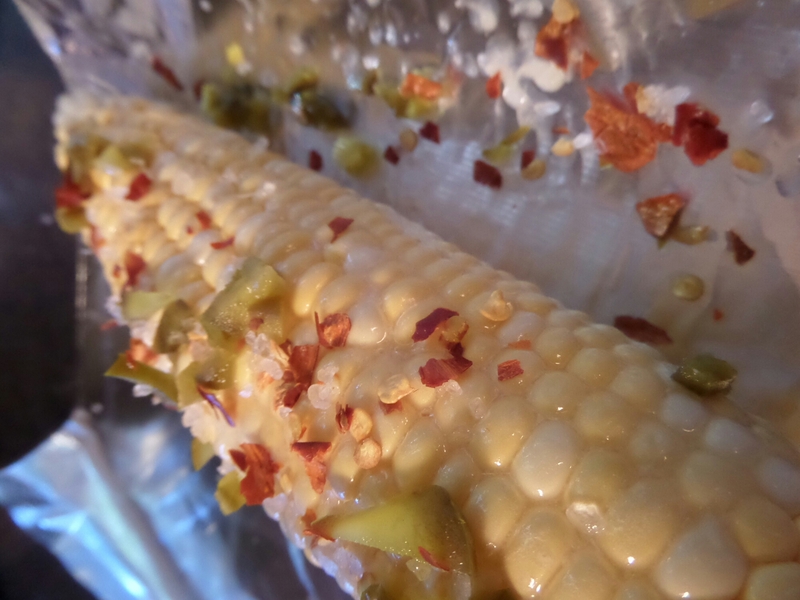 Corn is sweet and what goes better with sweet? SPICY!! 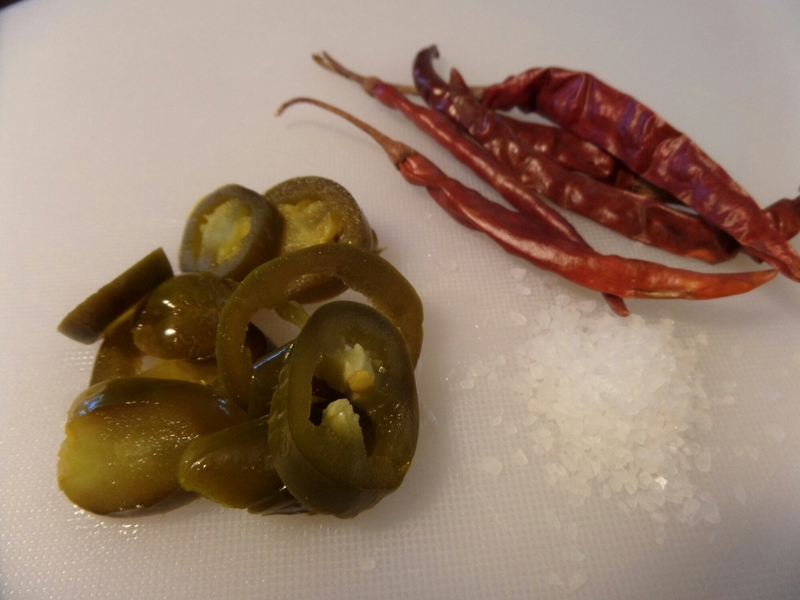 This is super simple….melted butter, jalapeños (I preferred jarred for this preparation because sometimes some jalapeño juice is also a good addition), arbol chilies (dried red chilies), sea salt and that’s it!! I’d imagine adobo chilies would also be outstanding. 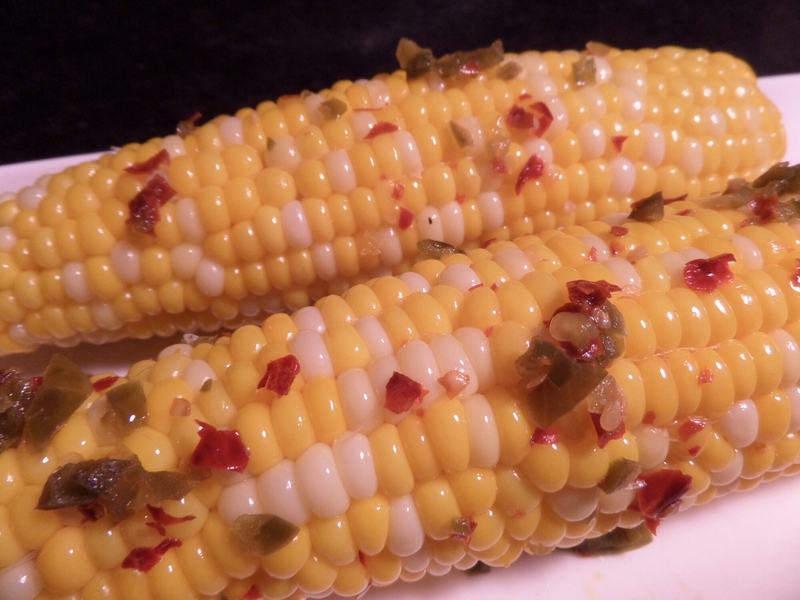 Brush on the butter and sprinkle the rest of the ingredients over the corn. Wrap it in a small piece of foil and cook on indirect heat for 25-30 minutes. 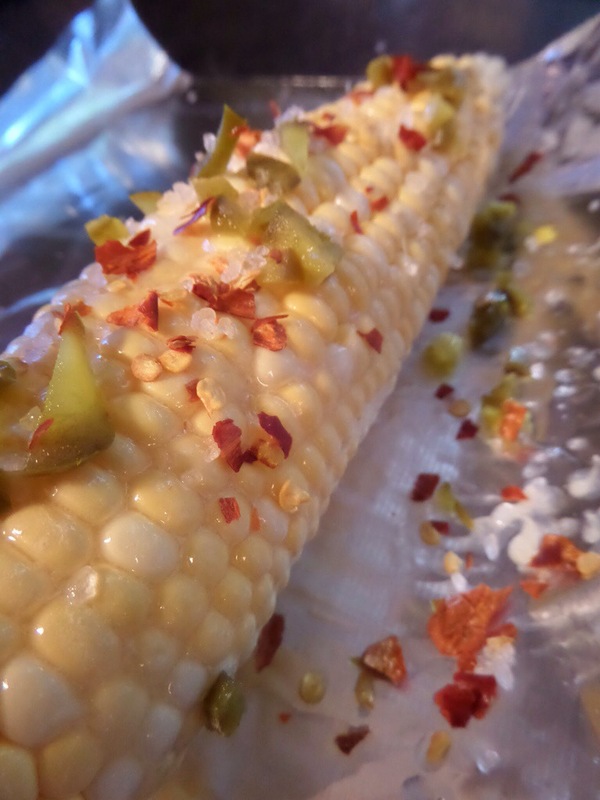 It makes summertime grilling just a little more interesting!